Measure can discern length or height for items both large (think furniture) and small (bananas, obviously). In my experience, it struggles a little on large, featureless surfaces, like ceilings or bare walls, but it's useful in some situations where using a tape measure might be inconvenient. At the very least, it's pretty fun to play with. 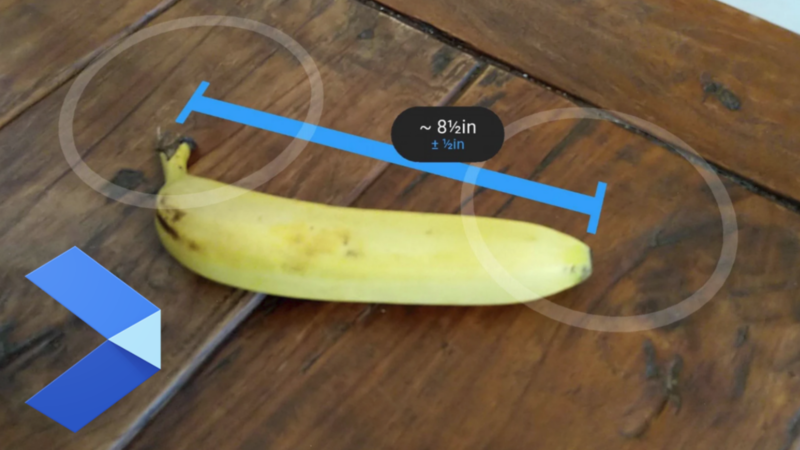 To start measuring your own tables and fruit, you can grab the app from APK Mirror.